If you happen to catch East High School teacher Kevlyn Walsh on her way out the door on a typical school morning, you’d notice she’s carrying a lot of, well, STUFF. In fact, on most days it’s enough to fill both arms and a packed duffel bag. There are the tools of her teaching profession: books, notebooks, graded assignments, perhaps a laptop. And then there are the requirements for her evening job as a hostess at Cherry Creek Grill: change of clothes, pens, etc. Not included are the patience and stamina she needs to get through her 16-hour days. 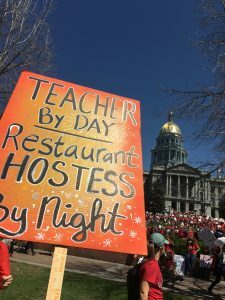 This is life for a teacher in Denver Public Schools. The additional income isn’t necessary due to Kevlyn’s extravagant lifestyle. A graphic design and photography teacher, Kevlyn currently lives with her parents and drives a hand-me-down car. But the 29-year-old would like to buy a home someday, pay off her student loans and save a little for those life emergencies that come along (like when her 2006 Honda Civic finally goes kaput). Accomplishing these common life goals is impossible on her DPS teacher’s salary alone, she said. Kevlyn detailed the financial challenges she faces during a speech at the May 16th Bargaining Session for DPS and DCTA representatives. She also recounted her difficulties for the DPS School Board at the May 17th board meeting. That last point, Kevlyn said, is her key concern about DPS. She said the district does not appear to understand that teachers have options – and that students are the ones who suffer when strong teachers leave the district. Despite her efforts last month, Kevlyn said she felt ignored at the Bargaining Session. And she wonders if the district is actually listening to teachers. She said she felt more “heard” at the DPS Board Meeting, in part because she knows some board members recognize how teachers struggle and in part because board members had no choice but to listen. Kevlyn’s activism on behalf of teachers can be traced back to her upbringing. Her father is a retired high school English teacher who was always active in collective bargaining efforts for teachers. The lesson Kevlyn learned: It takes an active membership to create change in a district. It’s just one reason she’ll continue to speak out when she can to help conditions in DPS improve. But in the meantime, she’ll keep working (and working and working) just like so many other teachers in the district who are forced to hold multiple jobs. In either of her work environments, Kevlyn strives hard to stay professional and pleasant – though with long hours and often difficult circumstances it can be a challenge. If she has a rough day at school she can’t let it carry over to the restaurant. And if she has a tough night at the restaurant, she can’t allow that burden to follow her to school the next morning. 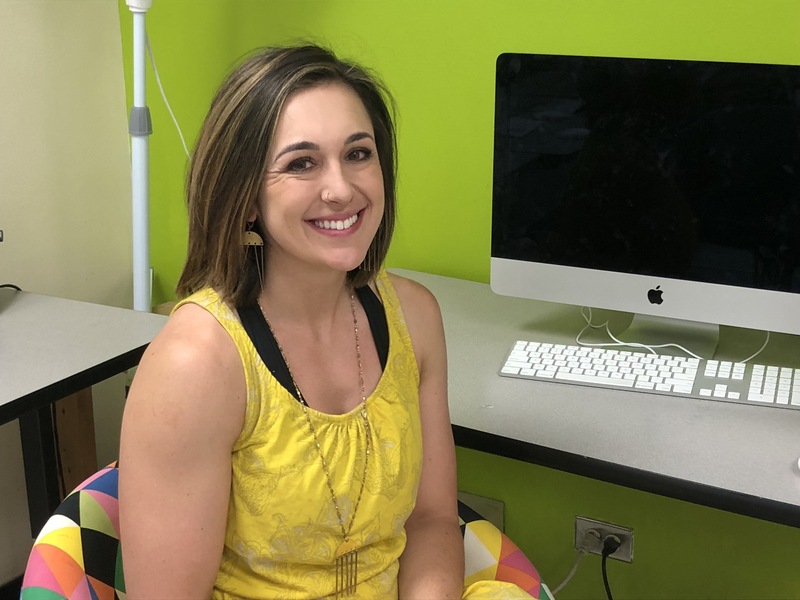 Her dedication to professionalism is evident: She was named the Colorado Art Educator Rookie of the Year in 2017. And one day, she admitted, it may all become too much.